In designing the space, both the studio and television audiences were carefully considered. 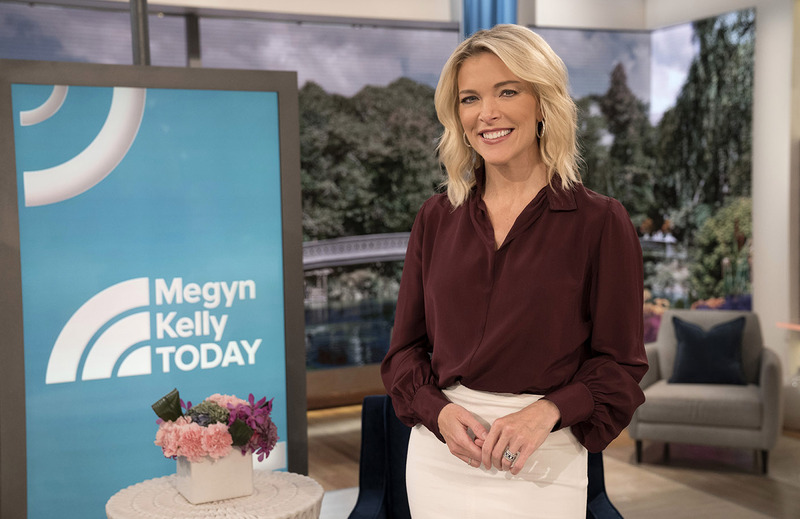 “The biggest thing was to make a space that was warm and inviting that not only had an audience but provided an audience that could truly be part of the show and have a relationship with Megyn,” said Greenstein. Careful attention was also paid to how the set would be blocked — ensuring that both groups of audiences would feel part of the show and connected to Kelly, whether through their physical placement within the space, on camera or through sightlines with Kelly in the studio. The finishes of the space, meanwhile, were selected to be warm and inviting while remaining open and modern. The goal was that anyone would be able to relate to the space and comfortably have a conversation in the area. In addition to the large video walls, the design features a blend of exposed painted white brick — a finish found in Studio 1A’s Orange Room — and modern wood tones, backlit surfaces and pops of color and texture brought in through the use of accessories, fabrics and finishes. The design also makes generous use of strong diagonal lines found in both vertical columns and a large proscenium-like trusswork frame that envelopes the main area of the studio, a design element that serves to both frame and ground the space. The brick and exposed metalwork, as well as the smooth silver finishes, modern wood tones and backlit panels, are visually similar to design elements used across the NBC family — from the new “NBC Nightly News” a few floors down to the network’s fourth-floor newsroom, albeit with a brighter touch.